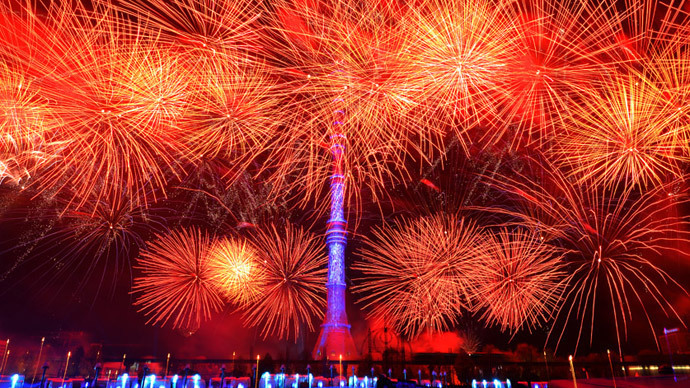 The annual international ‘Сircle of light’ festival has begun in Moscow, thrilling spectators at the capital’s most beautiful locations. 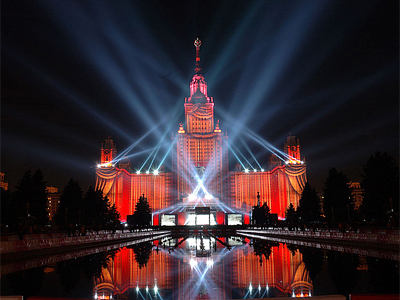 The state-of-art work of modern lighting technologies is devoted to a theme of an adventurous worldwide journey. 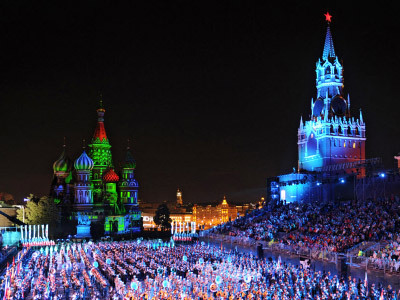 The 4th “Circle of light” festival has started welcoming its guests right in the heart of Moscow, as it is set in such majestic sightseeing places as the Bolshoi Theater, Ostankino, the All-Russian exhibition center (VDNKh), Tsaritsyno park and the Kuznetsky Most street. A “multifaceted and fascinating odyssey of light that unites the world,” as organizers say, the event is aimed at engaging the visitors into an adventurous journey around remote places of our planet, getting to know various cultures and their traditions. 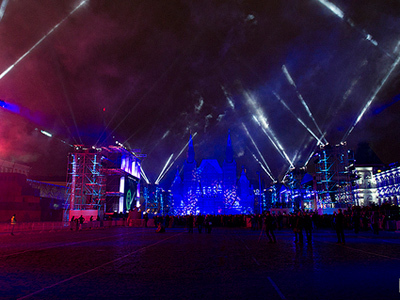 The leading Russian and foreign specialists in the field of 2D and 3D graphics will be guiding the spectators during a 137.5 hour series of breathtaking laser shows, amazing fireworks and numerous multimedia and light installations. 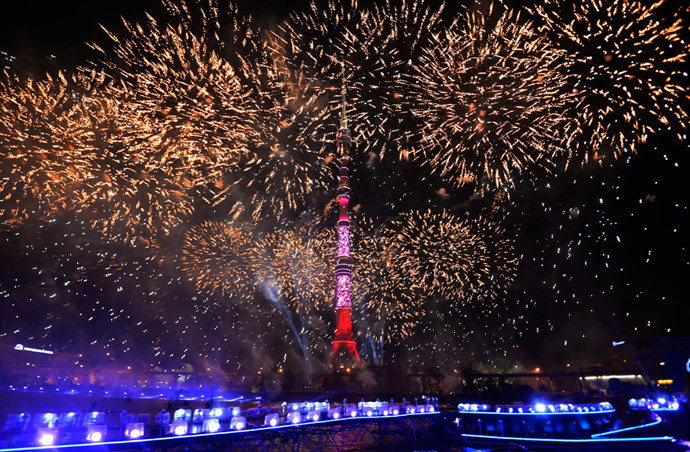 The ceremony was also marked by a teleconference, during which foreign TV hosts and famous people from the cities, where the displayed towers are located, greeted Moscow. 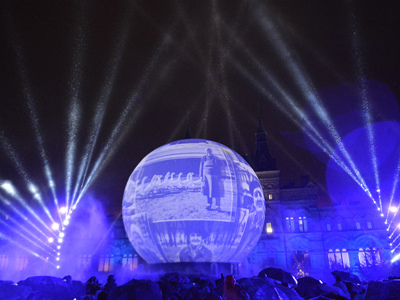 This year’s “Circle of light” is going to be the most large-scale in the festival’s history, as it involves eight locations – twice as many as back in 2011, when the festival was founded. “Artvision”, the festival’s annual contest, has three nominations – “classical”, “contemporary” and “VJs”. The submitted works – this year there are 63 of them, representing 26 countries – will be appraised both by the audience and by an international panel of judges on October 12. Among this year’s contestants there are Italian Roberto Fazio Studio and Neocortex Project, Videomapping Hungary, FLIGHTGRAF from Japan and Russia’s Volna, SILA SVETA, Peremirie and Radugadesign. Master-classes, show-cases, lectures and workshops will be held within the framework of the festival’s educational program, and visitors will be able to learn about the latest trends of modern lighting technologies, architecture and design. The festival, admission to which is free, will be taking place till October 14 with a closing ceremony to be held at the Bolshoi Theater.